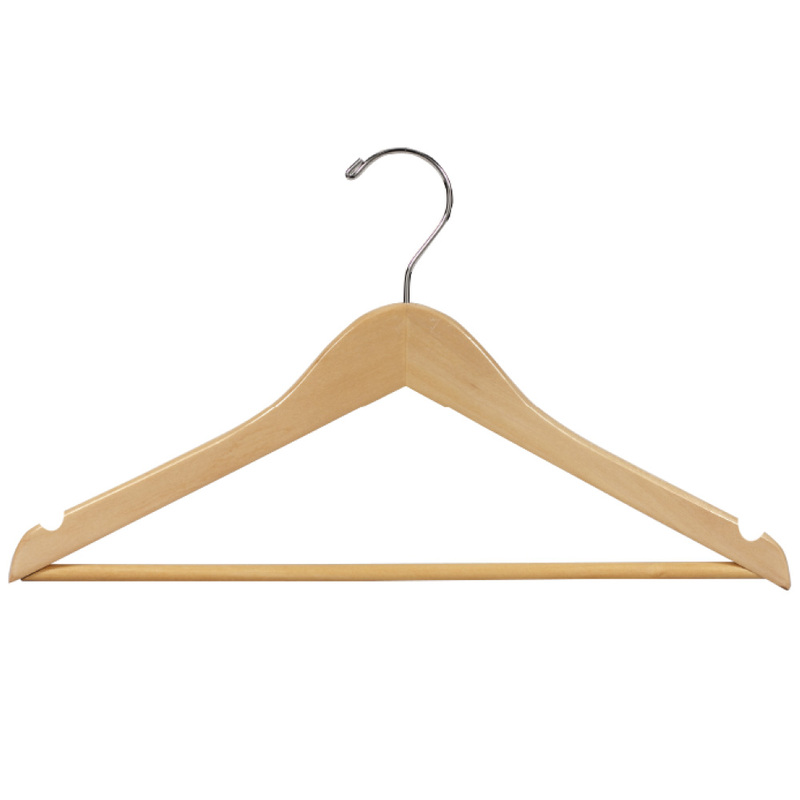 Our all purpose hangers have a slightly curved shape. 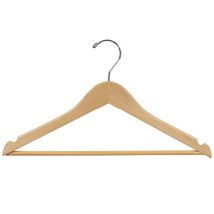 They come with notches in the shoulders for hanging straps and a chrome swivel hook. They are coated with clear lacquer for durability.